Where does true salvation from our sins come from? How does our salvation affect our lives today and into eternity? John jumps right into the great subject he wants to cover. There is no greeting and no salutation. What he has to say is of unparalleled importance; he must get right to the point: God's Son has come to earth. God is not living off in outer space someplace like so many people think and say; God has not forgotten the earth. God is not unconcerned and disinterested in the world. The very opposite is true. God loves and cares for us and He has proven it in the most supreme way possible: God has sent His Son into the world. This is the glorious testimony of John: God's Son has come into the world and His name is Jesus Christ. Jesus is the Messiah, the Savior of the world. 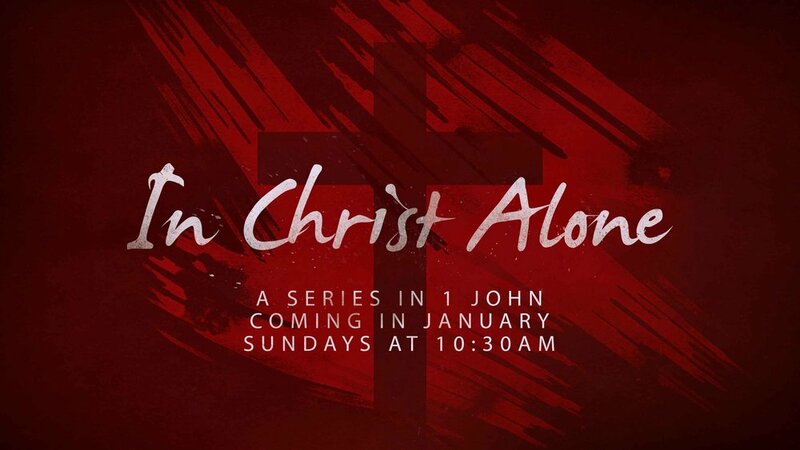 Join us for our Sunday morning teaching series on Sundays at 10:30am beginning in January in the book of 1 John.